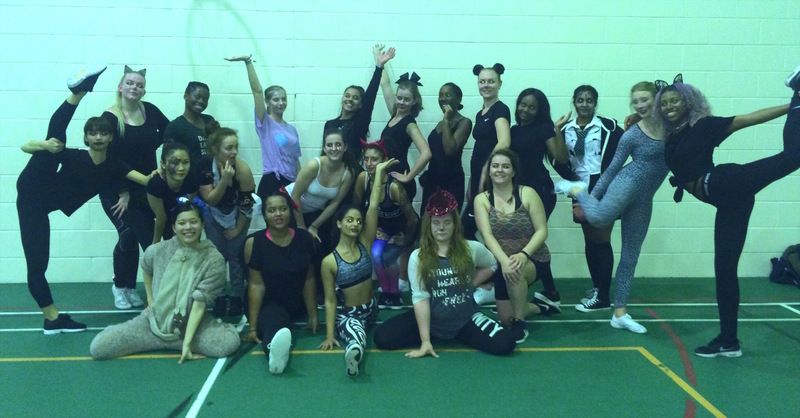 Hello, we are a group of 25 Middlesex University students who have come together to create, support and inspire! 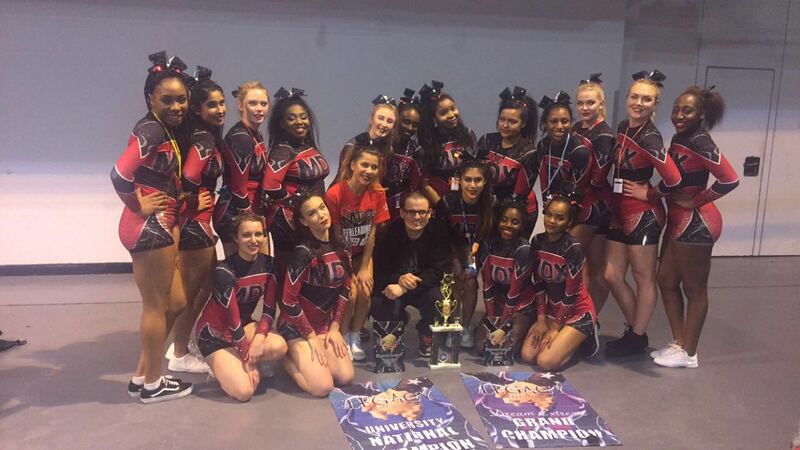 We are a part of MDX Matrix, a cheerleading squad only formed a year ago but already achieving great things. 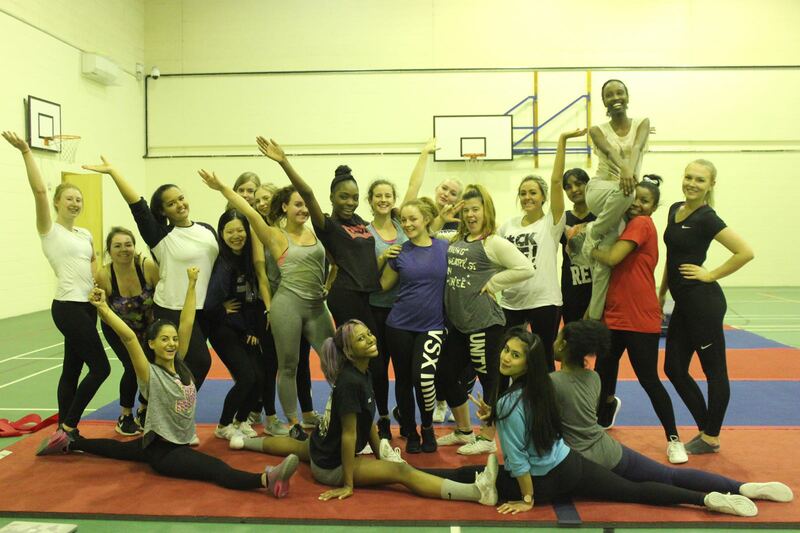 Help us become a leading UK university cheerleading squad! 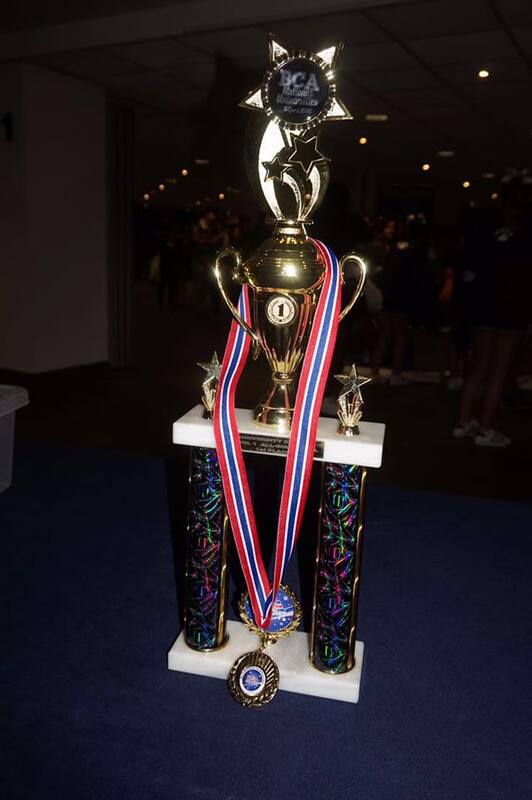 Since our formation, we have won Grand Champion and National Championship trophies at the British Cheerleading Association and Legacy Dream Extreme competitions. This year we would like to go bigger and better. 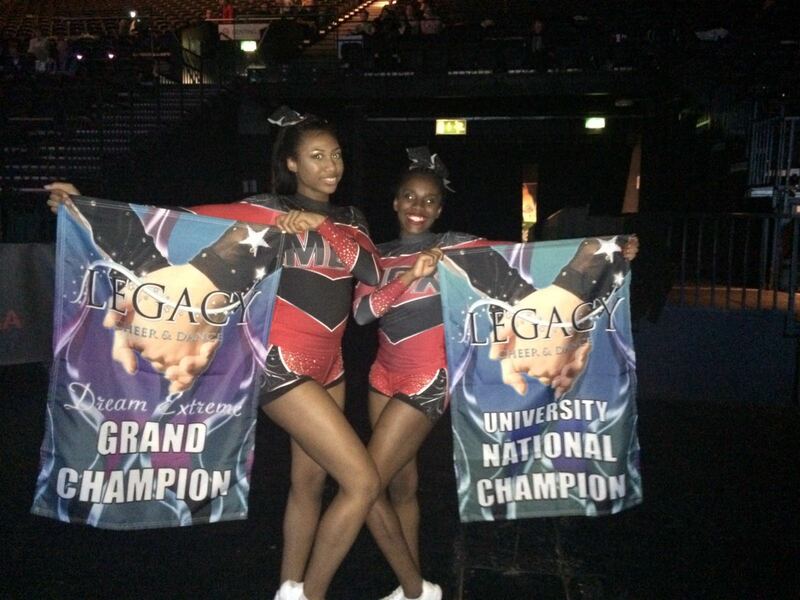 Our goal is to compete at higher levels within the sport and be known as a leading UK university cheerleading squad. This is where you come in! We want to raise £1000 in order to train for and compete in the ICC University Nationals, one of the best competitions in the country. We are committed to achieving great things at the competition but we need your help raising the necessary funds to take us there! Cheerleading doesn’t receive much funding from the government or other sources, so has to be funded organically by the teams involved. Cheerleading is a community driven, all inclusive sport that brings people together and encourages greater athleticism. It also plays an important role in boosting the morale of those participating in other sports. We hope that with your support we can raise awareness of our squad and continue to give our endless support and spirit to Middlesex's sports teams as well as the University itself! The money we raise will be used to fund our competition entry fee and additional training. At present we only have two hours of training a week as our budget is limited. To do bigger and better things, we need to train for at least 2/3 hours, twice a week. If we hit our target some of the money we raise will go towards hiring and training in the best facility, which is equipped with a 9 panelled sprung floor. Funds raised will also go towards transport, uniforms and training kits. If we hit our minimum, we will use the money to fund the additional training we so desperately need to achieve our ambitions. If we hit our stretch goal, we will use the additional funds to pay for our Competition Registration Fee and new uniforms so that we look the part when we compete! If we go above our target…well, that would be brilliant! Any additional funds raised would go towards other competitions. We have aspirations to compete abroad - a great goal for us next year! Not a lot of people understand the dedication and discipline that goes into creating cheerleading routines. It is hard work and requires great individual and team focus to master a routine and achieve performance perfection. That said, we love to do what we do and hope you will too! In return for your support, we have some great rewards. You can check out our rewards on the right side of our crowdfunding page. As an unrecognised team, we want to get our name out there and with your help, that's possible. 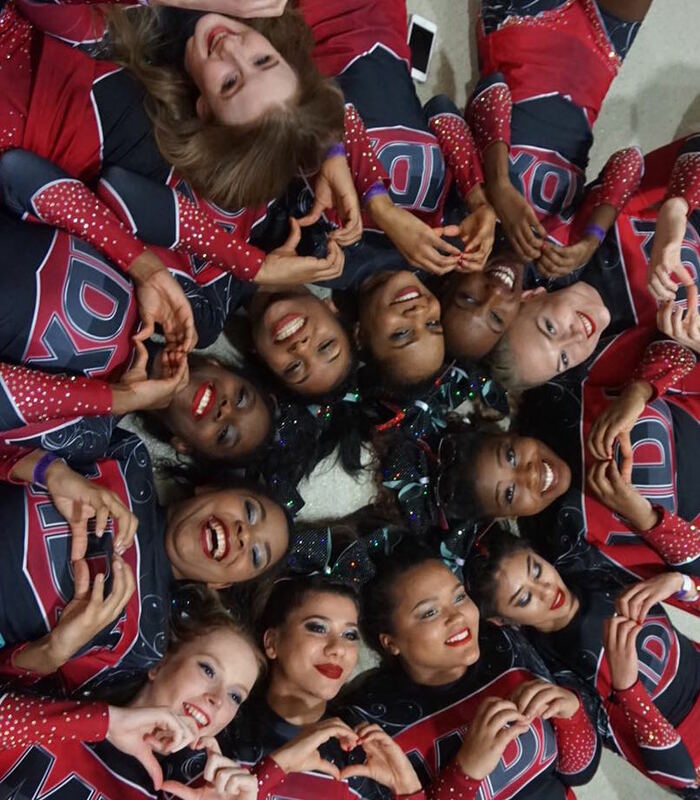 We would love for you to be a part of our cheerleading journey and help us promote our team. Sign up as a helper and share our campaign with as many people as you can – through email, social media, in person – however you can! 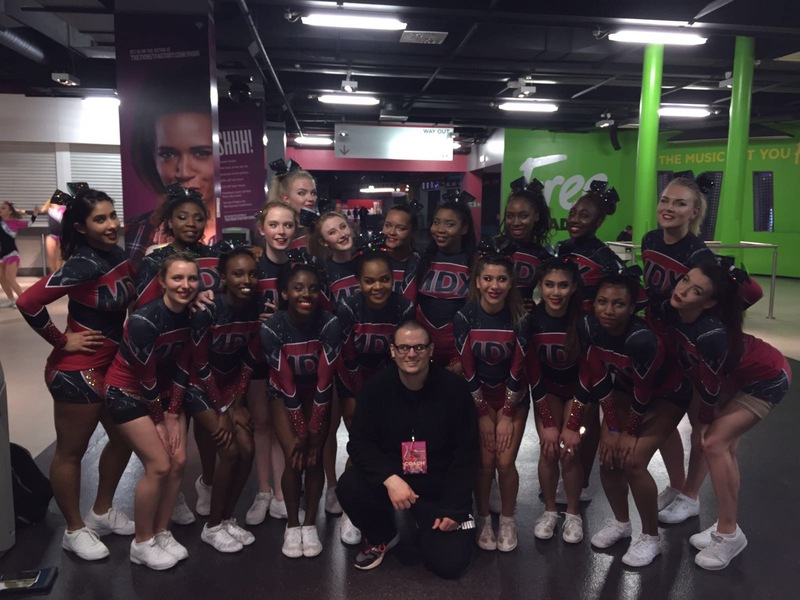 Support the MDX Matrix Cheerleading Team! On behalf of MDX MatrixThank you! Select this reward for a thank you shout out on our Facebook, Instagram, Youtube and Twitter pages! Select this reward for a shout out on social media, a signed card from the whole team and photograph of MDXMatrix! Select this reward for a shout out on social media, a signed card from the whole team, a photograph of MDXMatrix and a personalised video cheer! 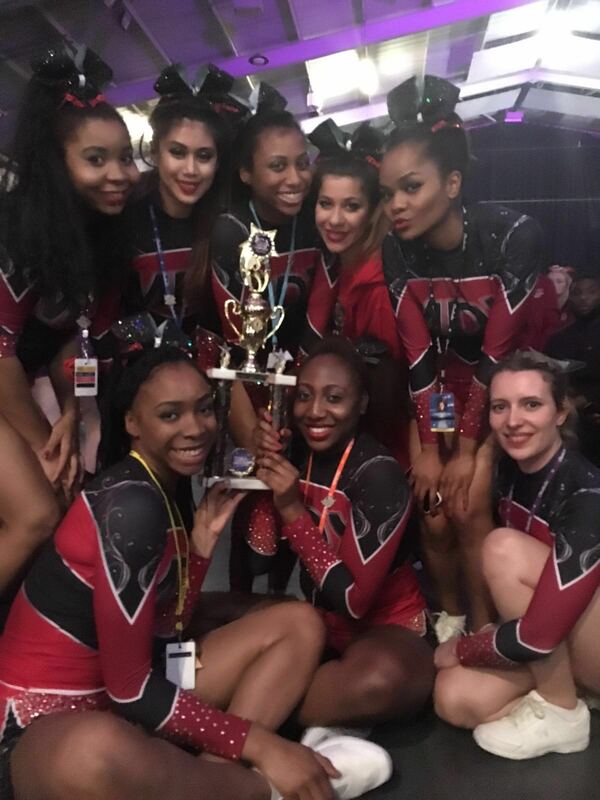 In addition to the rewards featured above, we will perform a cheerleading routine at any event you want – from proposals and birthday parties, to corporate, promotional events and more! You will get all the other rewards featured above and a bundle of MDX Cheer merchandise! In addition to all of our other rewards, we will also include you or your company’s name on our uniforms!